Portable listening amplifier offers enhanced audio control with DAC conversion for use in-line between digital audio sources and headphones or earphones. Portable listening amplifier offers enhanced audio control with DAC conversion for use in-line between digital audio sources and headphones. Features include 4-band parametric EQ and the ability to process both digital and analog audio sources. High Resolution Audio LogoThe Product with this logo has been designed to maximize the sound performance of High-Resolution Audio. 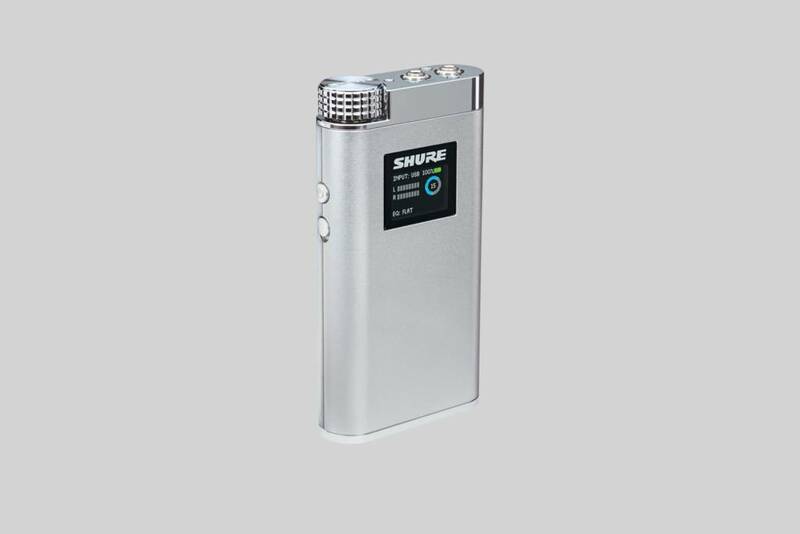 The SHA900 portable DAC Amplifier with customizable EQ control comes in a compact design and combines high-fidelity audio with the mobile demands of today's active lifestyles. Through multiple output gain structures it is optimized for both, headphones and earphones. What are the main characteristics of SHA900? SHA900 is designed for audio enthusiasts who like to handle all aspects of their sound. It features a 24 bit / 96 kHz conversion rate, customizable 4-band parametric EQ with five standard and 4-user defined settings, rechargeability and input level meters. Which sources can be used? SHA900 is capable of processing digital audio via micro-USB as well as analog audio via direct line in. It can also bypass entirely for a pure analog signal without conversion. The featured USB digital-to-analog-converter (DAC) converts analog or digital audio from portable sources and computers.